Among the affected vehicle population, vehicle stalling may be triggered by premature engine bearing wear. Indications of a worn bearing are outlined here. If the vehicle continues to be driven with a worn bearing, the bearing can fail, and the vehicle could stall. In some instances, engine stalling can lead to the fracture of a connecting rod. When a connecting rod fractures, it is possible for it to damage the engine block, allowing oil to escape and contact hot engine surfaces, which can lead to a fire. 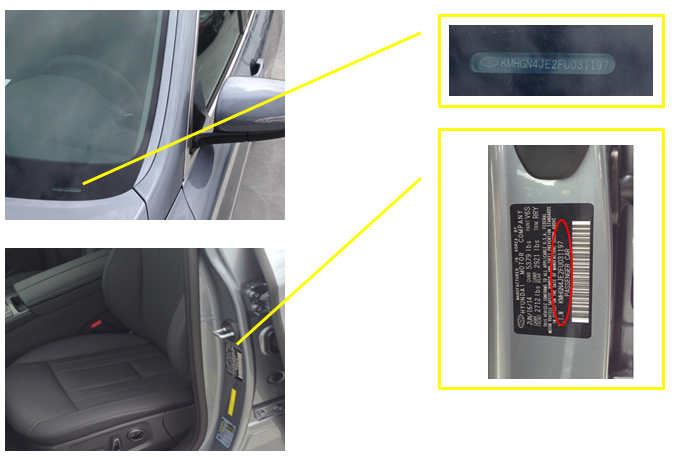 A Vehicle Identification Number, commonly known as a VIN, is a unique 17-character number used to identify an individual vehicle’s manufacturer, model, body style and engine size.